What meat eater doesn’t enjoy meals with chicken? It’s a staple in so many of our homes and our diets. When done right, poultry can be enjoyed in so many ways that you simply can’t count them. Sometimes we just get a little tired of plain chicken breast and want for something more. So it’s great there are endless options, but this can present you with such an array of choices that it’s difficult to make a quick decision on what to make. To try and narrow down some of the best options a bit we’re taking a look at one popular way to prepare chicken. 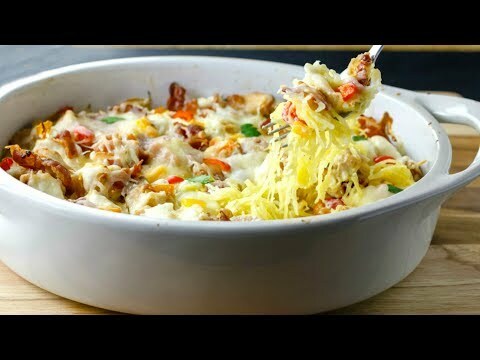 Shredded chicken recipes. It’s only a slight twist on the traditional white meat but with it comes plenty of dishes to savor. Take a look at 15 of our shredded chicken favorites varying from hearty entrées to lighter soups and salads. You can cook with your BBQ grill, Instant Pot, stove top or outdoor smoker. And of course no shredded chicken recipe list would be complete without representing a variety of cultures. Peruse and enjoy! There are a million ways to make shredded chicken tacos. You’ve probably tasted at least 20 different versions in your lifetime. If you haven’t made them at home, now’s your chance. Start with some pulled dark or white meat, and you’re already more than half way there. You need a good recipe to pull off an unforgettable BBQ sandwich. Get your pulled chicken and follow these steps from Rachel Ray to get a quick and easy, but heavenly result. The ultimate in comfort food, you can’t go wrong with this casserole. Even for those who don’t care for broccoli or melted cheese, there’s something magical about blending it all together in this way with some lightly seasoned shredded chicken. This is one of the many low-carb shredded chicken recipes you can love for its simplicity. Since it’s a salad (okay, not technically since it’s really just a chicken “mush” when you get right down to it), you can use your stand mixer to pull the chicken. Of course, if you like a more chunkier consistency, using two forks will do the trick. 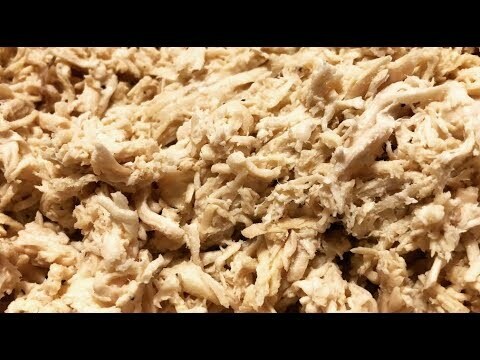 We return to another traditional Mexican dish for your shredded chicken. Another must-have and go-to dish for anyone who loves chicken and gets hearty appetites. Don’t worry, the burrito recipe linked here is also a healthy one. Try it for it’s goodness in both taste and healthiness. A Chinese shredded chicken recipe has to be mentioned in this list as another wholesome but tasty choice. Follow these easy steps to a dish with just the right flair from the far East. Another Asian twist offering ginger, honey and garlic sauce to enhance your chicken breast meat. You’ll like this without the added grease that the usual fried chicken recipes require. You can’t go wrong with bacon, so this low-carb twist blends some amazing flavors with the authentic tasting texture of real noodles without the carbs. A wonderful way to season chicken with an extra kick. What’s great about this is the versatility to use it for casseroles, nachos, quesadillas, tacos, salads, bean bowls or Mexican rice. Lean and healthy, this refreshing soup provides quality fats with the great protein of chicken. Who doesn’t like fresh lime? Make a large batch of shredded chicken, freeze it and have filling nachos any time in the matter of minutes. A keto recipe for rich chicken soup. Use your Instant Pot (a.k.a. instapot) to get this amazingly flavorful bowl of goodness. It’s the perfect recipe for your electric pressure cooker if you have one. If not, get one! Is it cheesy or is it chickeny? That’s the best part about enchiladas. See the recipe below for a melt-in-your-mouth result. Another perfect blend of all the right ingredients for this pleasant tasting chicken pasta recipe. Sometimes, you just need that summer, smokey flavor whether it’s in pork, beef or our favorite here, chicken. Here’s an easy way to get some smoked chicken just using your grill. If you want the truest smoked meat to savor get yourself a small electric smoker and enjoy this exquisite treat any time you like. Here’s a great video on how to easily prepare chicken in your multicooker. Since many of the shredded chicken recipes above use either a sauce pan, stock pot or slow-cooker, you can easily transfer this step to your pressure cooker for fast and perfect results useful for any meal.